Digital messages on various occasions: Love, cheering up, friendship, birthday, Christmas and general (see pictures). To design individual tea lights as gifts for friends, guests, dear people, occasions and special occasions. The prices quoted are final prices including sales tax. 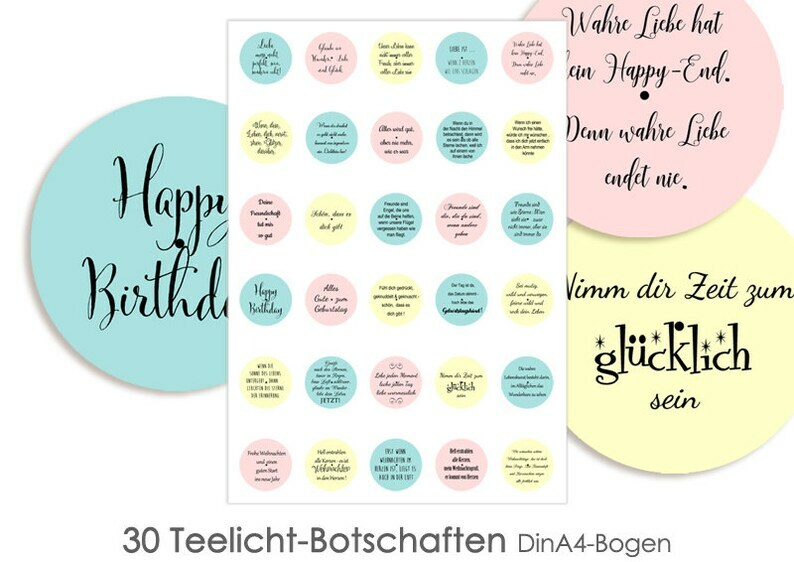 The price of the tea light template refers to 30 different images, which are shown on 1 to 4 DinA4 sheets, depending on the size. Shipping takes place as a digital file (PDF), which can also be printed and used several times. The background colors can be changed. After agreement we also produce templates according to customer's requirements.